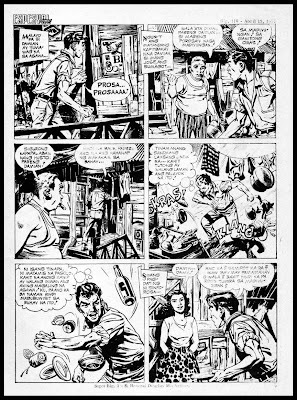 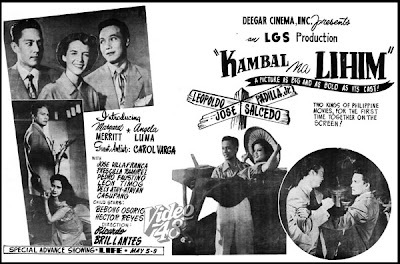 Leopoldo Salcedo and Jose Padilla, Jr., two great movie icons of yesteryears appeared together for the first time in 1953 in the movie, Kambal na Lihm. 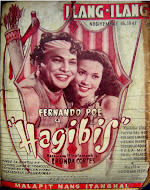 Considered as a casting coup that time, the two popular actors were then the undisputed Kings of Philippines Movies. 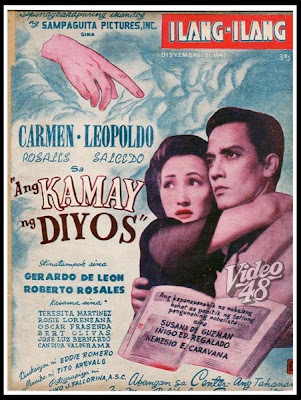 The movie, produced by Deegar Cinema, Inc., also starred Margaret Merritt, Angela Luna and Carol Varga, under Ricardo Brillantes direction. 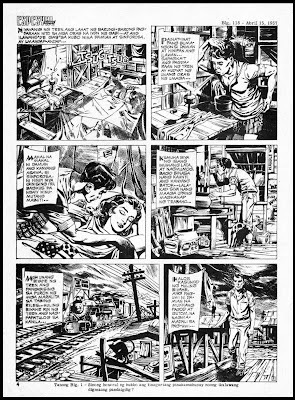 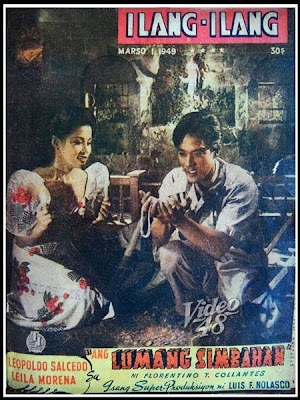 Sampaguita Pictures was established in 1937 and was hit by a huge fire in 1951 with hundreds of film prints destroyed. 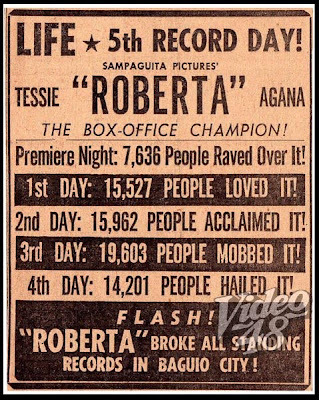 The movie, Roberta starring Tessie Agana in her first lead role as a battered child, became one of the sensational hits of the year and saved the company from bankruptcy. 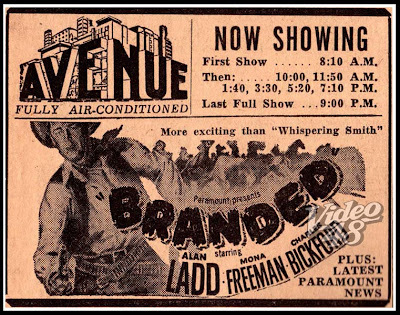 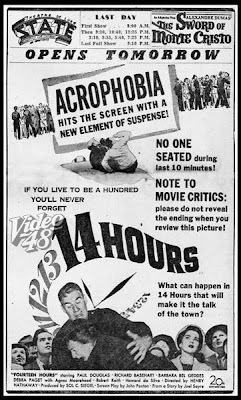 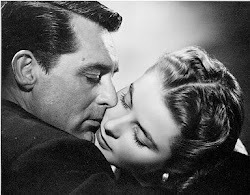 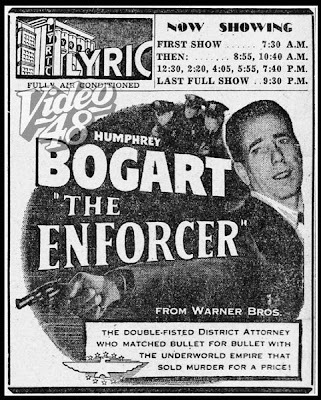 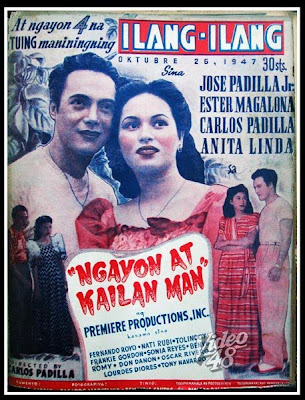 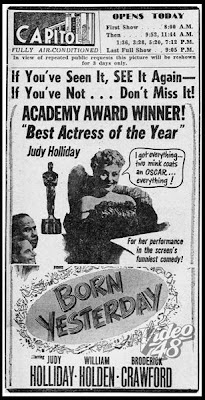 The movie had its Premiere Night on March 1, 1951 witnessed by a record-breaking crowd of 7,636 people at Life Theater with a 800 to 1,000 seating capacity. 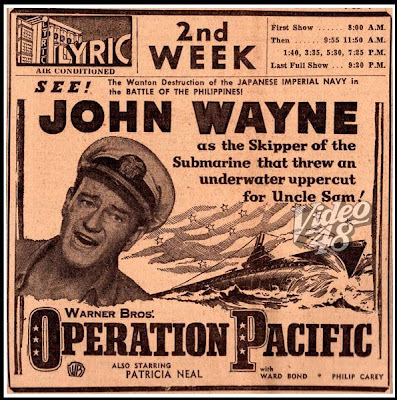 It went on to shatter box-office records at the tills during its regular run, with the following astronomical figures, unprecedented that time---First Day- 15,527 people; Second Day-15,962; Third Day- 19,603; Fourth Day- 14,201. 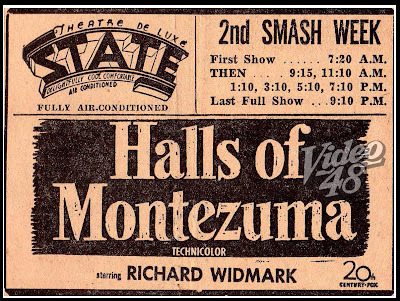 Ticket rates that time: Orchestra- 1.50/ Balcony- 2.50/ Loge- 3.50. 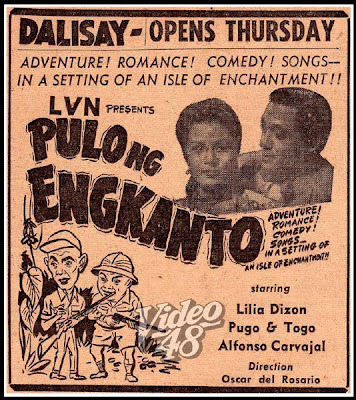 The movie made Tessie Agana the studio's biggest draw and box-office champion and hailed as one of the biggest child stars of the decade. 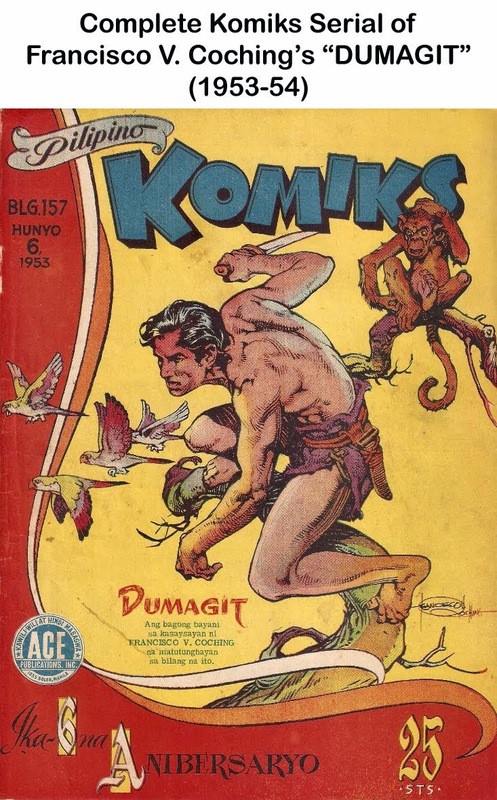 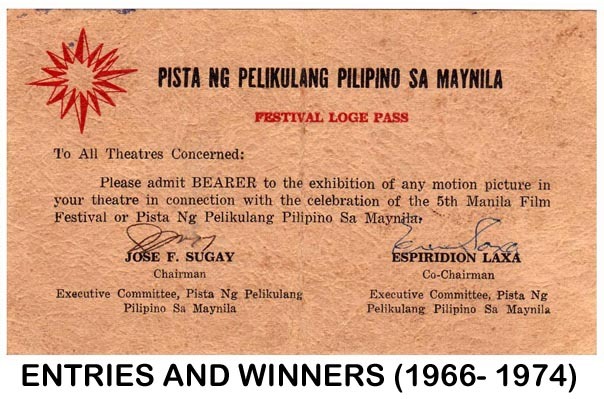 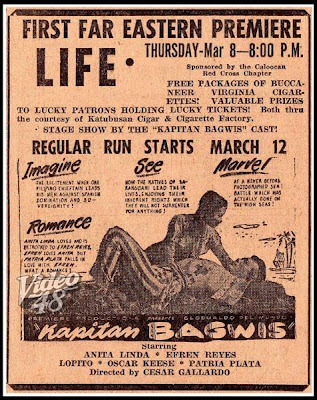 Scheduled for exhibition that week are two movies from rival studios--- LVN Pictures' Pulo ng Engkanto and Premiere Productions' Kapitan Bagwis. 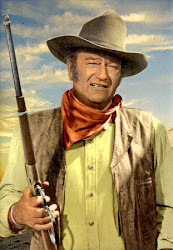 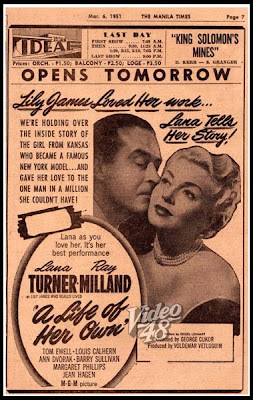 Hollywood movies, as always, dominated the scene with movies like "A Life of Her Own," starring Lana Turner and Ray Milland; "Operation Pacific" with John Wayne; "Branded' with Alan Ladd and "Halls of Montezuma" with Richard Widmark. 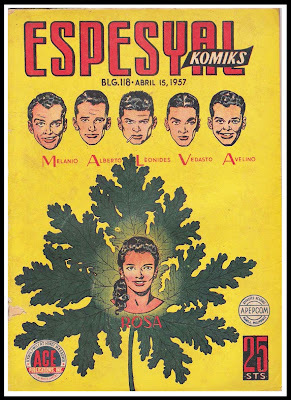 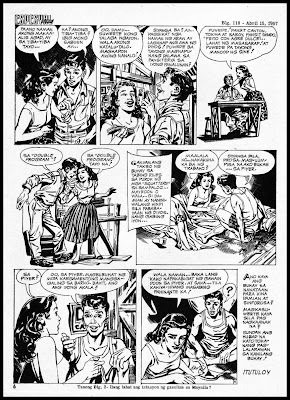 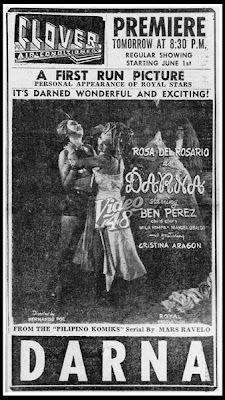 "Darna" (1951)- Stars Rosa del Rosario, Ben Perez, Mila Nimfa, Manuel Ubaldo and Cristina Aragon/ Directed by Fernando Poe, Sr.
Darna, a popular Pilipino Komiks serial novel by Mars Ravelo made its movie debut in 1951, opening June 1 at Clover Theater. 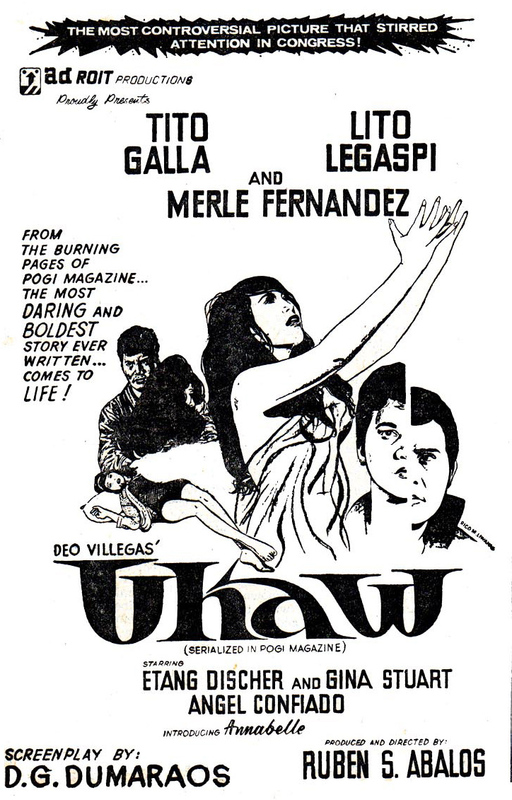 It had its Gala Premiere, May 31. 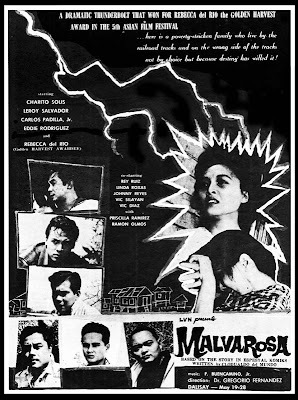 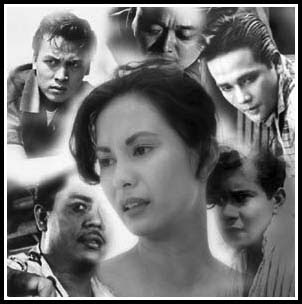 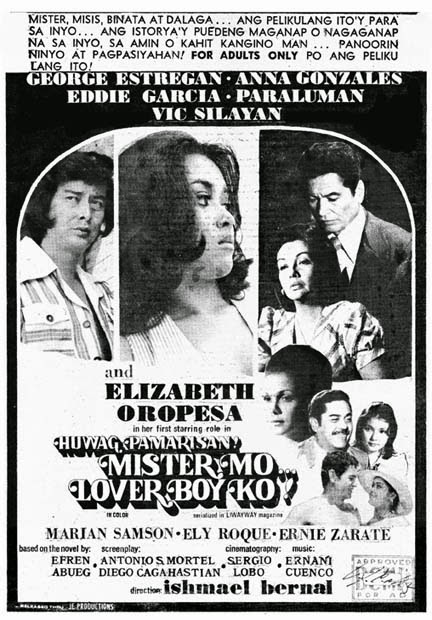 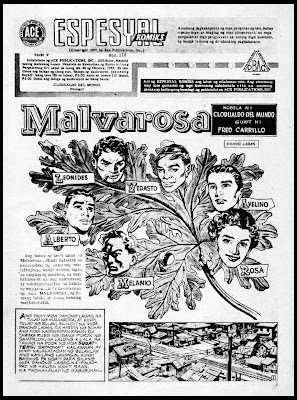 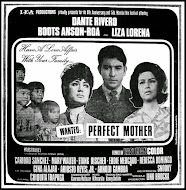 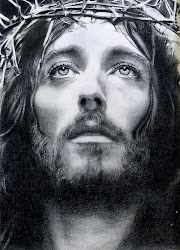 The movie, which starred Rosa del Rosario in the title role, was directed by Fernando Poe, Sr. under Royal Productions. 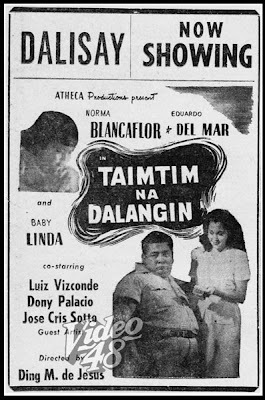 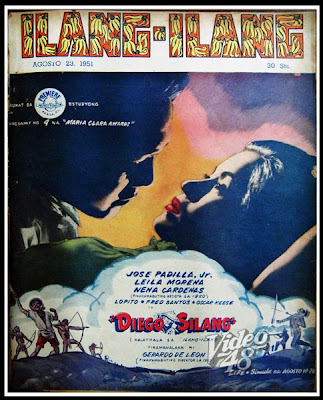 Two other Tagalog movies opened that week, Sampaguita Pictures’ Bernardo Carpio starring Cesar Ramirez and Alicia Vergel at Life and Atheca Productions’ Taimtim na Dalangin with Eduardo del Mar and Norma Blancaflor at Dalisay. 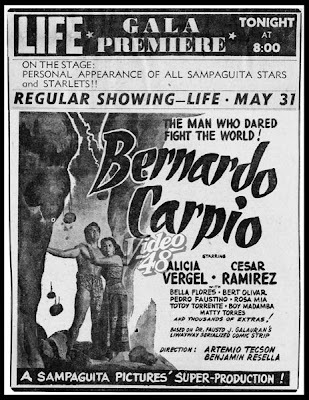 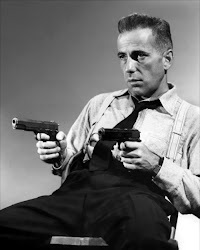 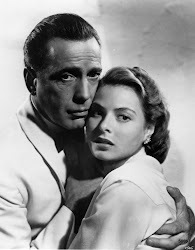 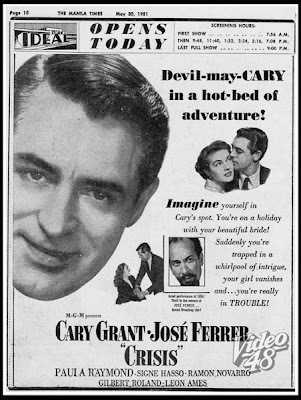 Five Hollywood movies also opened in several first-run Manila cinemas: Crisis (Gary Grant and Jose Ferrer) at Ideal; The Redhead and The Cowboy (Glenn Ford and Edmond O’Brien) at Avenue; 14 Hours (Paul Douglas and Richard Basehart) at State; Born Yesterday (Judy Holliday and William Holiday) at Capitol and The Enforcer (Humphrey Bogart) at Lyric.